Let’s talk about micro greens. Do you eat them? Do you grow them? To be perfectly honest, I had not had much experience with them before this spring. After planting my two gardens, I was still left with tons of seeds until I rememberd an article my Grandma sent me a few months back about using extra seeds to make micro greens. The process is simple and only takes between 7 and 14 days to grow. So while you are sitting around waiting for those tomato plants to produce fruit three months down the road, you could have already harvested six rounds of micro greens! 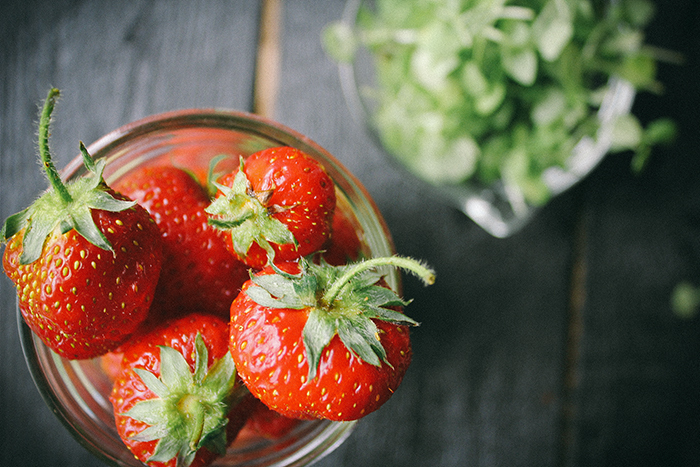 For this recipe, I used basil micro greens which complimented the strawberries wonderfully. It tasted like summer in every bite. I’ve found the basil micro greens to be the most flavorful so far but the swiss chard is the prettiest. With tiny strips of pink, yellow, and red…it’s hard to resist not topping everything with them. If you are into the idea of making your own micro greens, check out Claire’s post on it here or hop on over to Organic Gardening for their step by step tutorial. Also, on the topic of new things, I was at the farmer’s market earlier today and my friend mentioned how her boyfriend eats the strawberries with the stems on. I immediately asked if she had told me he wasn’t supposed to do that and she laughed. She then went on to tell me that although it’s not standard, it’s in fact totally okay to eat the stems and that she has no right telling him not to do it. I didn’t believe her. After much research (aka – hopping on my iPhone), I discovered that I was completely wrong. MIND BLOWN. AND…this was a game changer! I loved sliced strawberries but they are so much more beautiful whole. Hence the reason i kept them whole in this recipe…you can totally dig into the ENTIRE strawberry. BUT, if that is too weird for you (it’s okay, I totally understand) then feel free to chop the strawberries into thin slices or chunks. If you’d like to just make one regular pie size version instead of two miniature, just double the recipe below. To make the crust: Whisk together the almond flour and salt. Add in the maple syrup and coconut oil and whisk until a crumbly dough forms. Divide the dough in half and press the dough into two miniature pie pans (or a regular size pie pan if you doubled the recipe). Use a fork and pierce the dough all over. Stick in the fridge for 30 minutes. Preheat oven to 350 and bake for 15 minutes or until it starts to brown. Remove from oven and let cool before adding toppings. Top with strawberries and basil micro greens. Goats cheese and straweberries are such a perfect pairing. 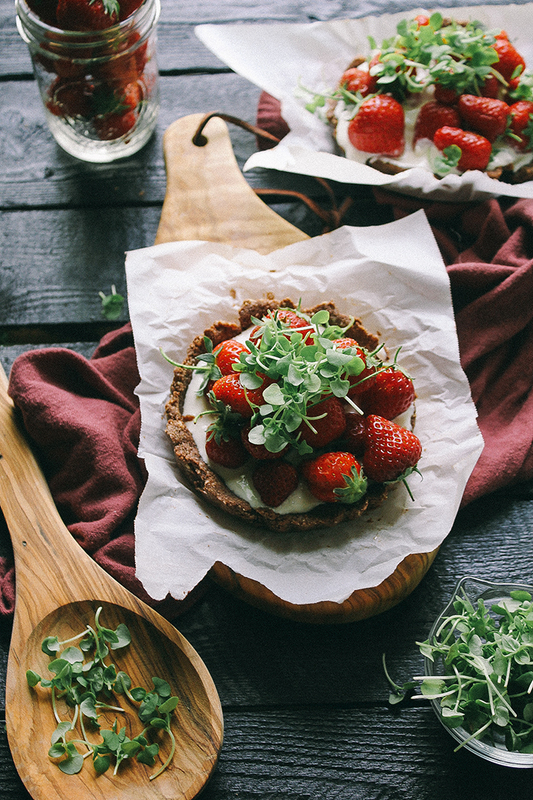 this tart looks delicious, and thanks for the 411 on microgreens – something even I might be able to grow! 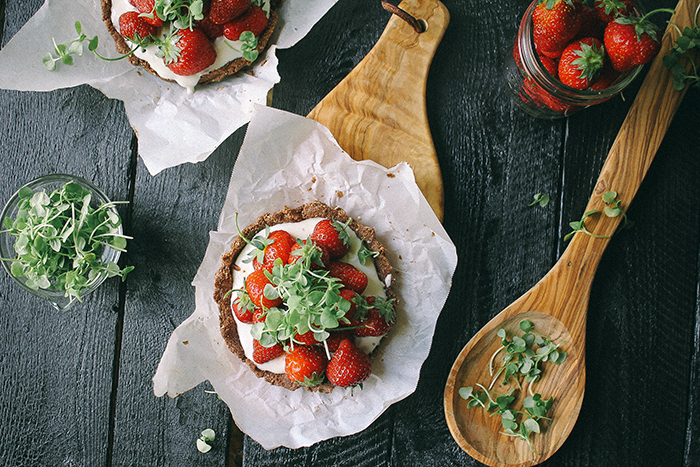 Goats cheese and strawberries are such a perfect pairing. 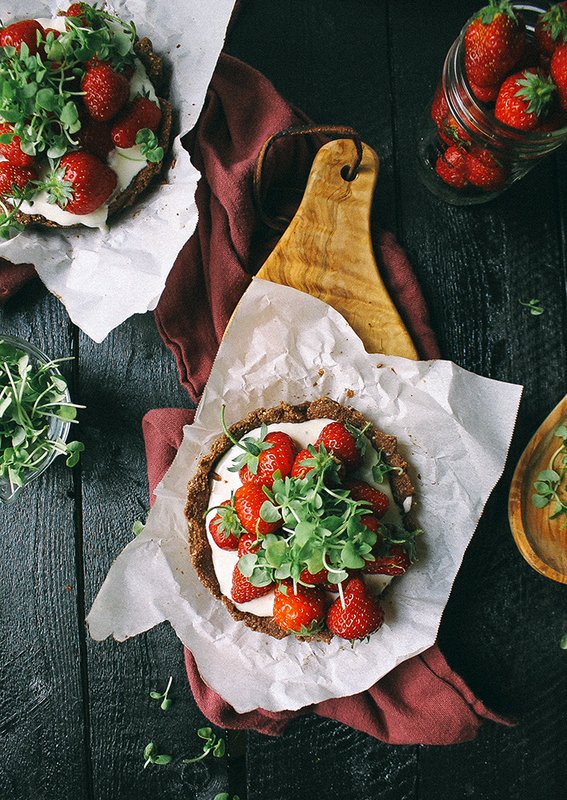 this tart looks delicious, and thanks for the 411 on microgreens – something even I might be able to grow! You are very welcome! I do hope you try to grow some of your own – they add such a new complexity to salads and desserts that I currently can’t get enough of them! Oh my!! This sounds AMAZING! I love everything about this recipe. The crust sounds perfect, and gluten-free, too. I’ll eat goat cheese in everything, even and especially dessert. 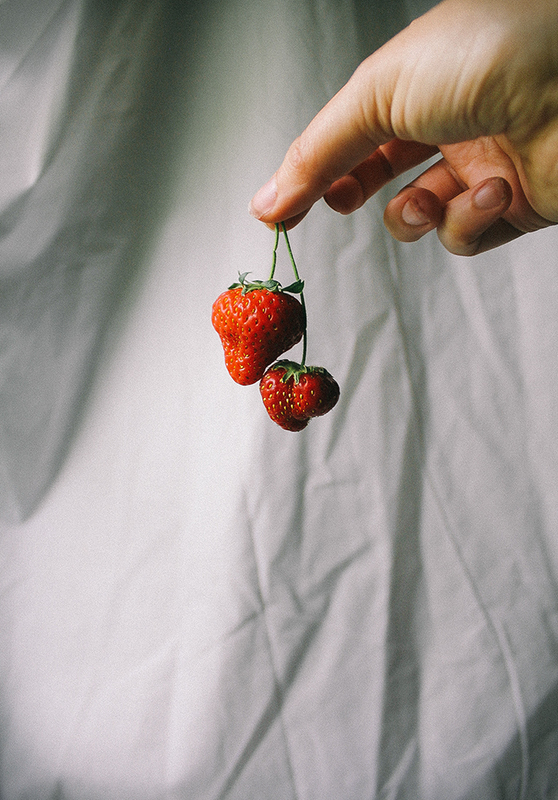 I love knowing that you can eat the strawberry stems – that is brilliant. And basil micro greens sound like the most heavenly, spectacular topping! Yum! Also, these photos are just stunning! Thanks, Alanna! I feel the same way about goat cheese – it’s tang just works so well with everything sweet! AMAZING! You always come up with the best boozy combinations – can’t wait to check it out!! This is beautiful! I love the idea of using basil microgreens – I’ve definitely thought about it for bean and broccoli sprouts, but never basil! I bet they have a wonderful flavor. oh my god! it looks deliciouuuus! i want to try this recipe! in fact, i want to try them all! : ] !!! Thank you, missphips! I found these (and you blog!) through Pinterest and they look absolutley fab. Strawberries and goats cheese = <3 wonderful. Yay! Thanks, Shellsten. I’ve been poking around your blog and it’s gorgeous as well! Hi there, I am a journalist with the Times of India, Bombay Times newspaper. I am working on a story on micro greens and came across your blog. 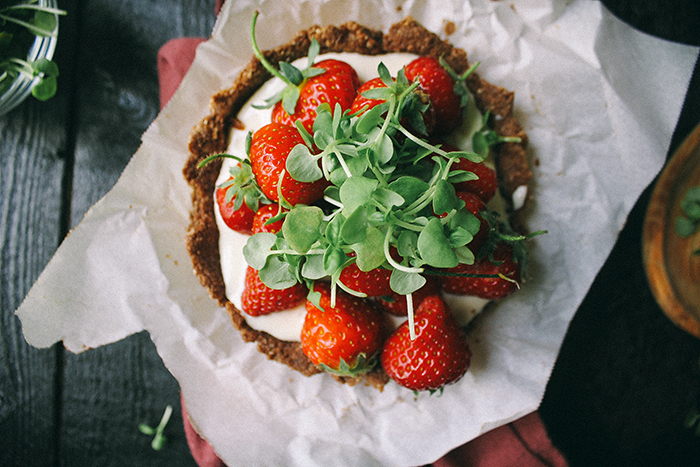 Wondering if I can use this lovely picture of the tart with micro greens, as well as your views in the story. please do let me know. My email is [email protected] thanks!